We work with a WMS (Warehouse Management System). This WMS system can send clients automatic e-mails, if desired. The types of reports we send automatically include inventory lists, entry notes, delivery receipts, production orders, and invoices. We can send these reports separately to different e-mail addresses within your company in order to inform the right people. This keeps you up to date on all of our processes. Your fruit and vegetable products are in good hands with our Warehouse Management System. Each incoming pallet receives a sticker with a unique pallet number and barcode. All of our warehouse employees have a mobile barcode scanner, which is linked to our WMS system. The sticker is scanned each time the pallet is moved, for example during storage, relocation, or order picking. Do you have questions about our Warehouse Management System? The latest tweets can't be displayed at the moment. 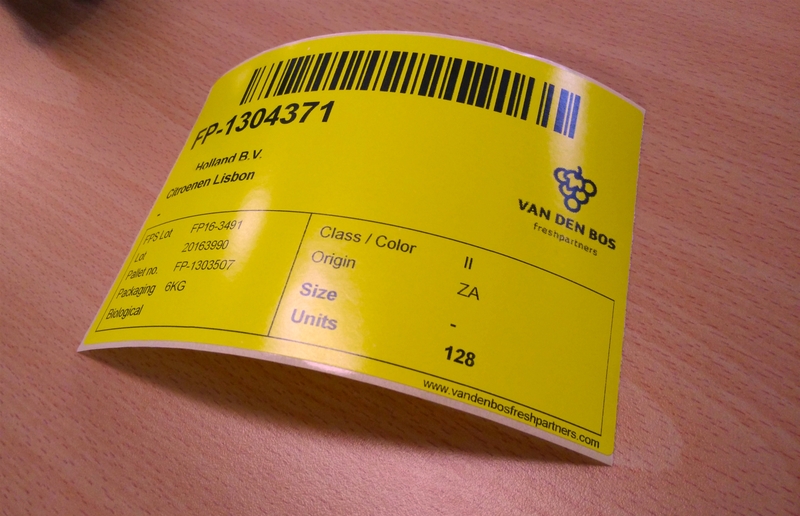 Van den Bos Freshpartners is part of the Van den Bos Group. Our cold storage services are subject to Nekovri’s general terms and conditions. These conditions are available at www.nekovri.nl.